Premier League giants Manchester United are seemingly interested in signing Leicester City attacker Riyad Mahrez, according to reports. France Football understands that Manchester United have contacted the player’s agent over a possible move. The Red Devils are “very interested” in signing the player, who has also caught the attention of French champions PSG in recent weeks. Mahrez has been in fine form for Leicester this season, scoring seven goals already in the Premier League so far. The 24-year-old winger is also a regular member of the Algerian national team and has made 18 appearances for his country. Leicester have surprised everyone with their attacking brand of football this season and Mahrez doesn’t want his team to change their philosophy. “I am really enjoying playing in this team. We are playing attacking football, not staying behind the ball and that’s the mark of the team. We have to keep going like this. Everyone is happy – the team, the players and the city. 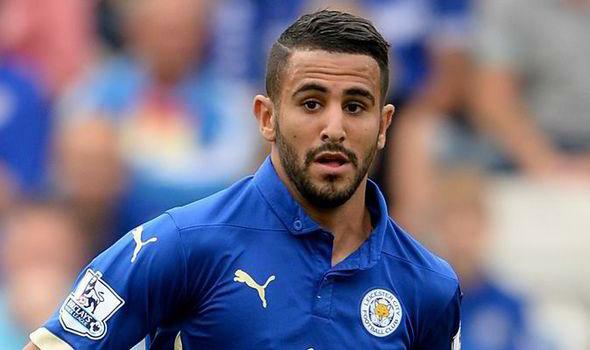 Mahrez joined Leicester in 2014 for a paltry fee of €400,000 only, and should the Foxes sell him to United in the January transfer window, they are certain to make an enormous profit from the deal. The Algerian winger may not represent a stellar signing that United fans want to see at the club, especially when the Red Devils are frequently being linked with big name players like Cristiano Ronaldo, Gareth Bale and Nicolas Gaitan, but with the form Mahrez is in, he could represent a bargain buy in two months’ time.